Everyday Art: Fill the Basket! Cute and educational all in one... or 26. You could also ditch the alphabet idea and just use cute easter colors and stickers. What baby wouldn't be adorable wrapped in one of these. Don't we all want an excuse to make on of these? 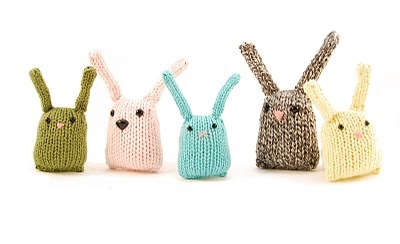 Check out the other Easter knitting ideas here too. We like to put a great big muffin in our Easter baskets. That way, along with treats and surprises, you also get breakfast! A cute little animal the perfect size to stuff in a basket- and then cuddle. How perfect would these be with that Easter Sunday dress? Around us, Spring isn't exactly toasty every year. Keep those little legs warm with a pair of these! I'm thinking an Eater Bunny or Spring Chick would be too cute on one of these. 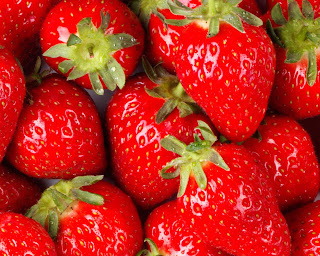 Ditch some of the candy and fill those plastic eggs with some of these... Fresh Berries! Really, they're better than the candy anyway (and better for you). We would love to hear some of your ideas too! Awww such good ideas. 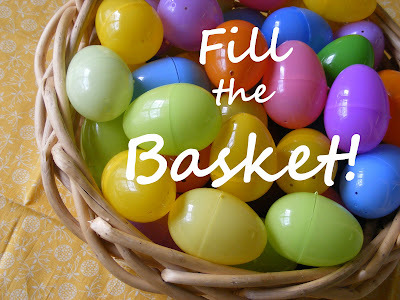 This year is actually going to be my first year making an Easter basket for my son. He's two now and can tell whats going on so it's gonna be perfect this year. Plus i wanted to make my three nephews a basket and now i can just make my sister's family a basket for easter morning. I like the idea of muffins and berries! Thanks for sharing! *Caity , Teachings from Lil Slug a Bug! Good ideas! Love the muffins and the appliqued shirts. I saw somewhere else where a mom gives her kids new school supplies because theirs were usually shot by spring. My boys always get sunglasses because none of us can seem to keep a pair (or two) for an entire year! What a great post! I was thinking of doing something similar in an upcoming "Inspirations" post... but I don't know if I'll have time! I love your ideas! Awesome! Thanks so much for sharing this at my For the Kids Friday Link Party! I appreciate you stopping by. I will be posting this week's link party shortly. I'd love to see what you have to share this week!